I hadn’t mentioned when the new book became available on Amazon, but it is now, and you can find it here. With the deals going on now, you might be able to get a healthy discount! The purpose of this book is to give the reader the ability to use software they have never seen before, without the daunting prospect of having to learn it on their own. 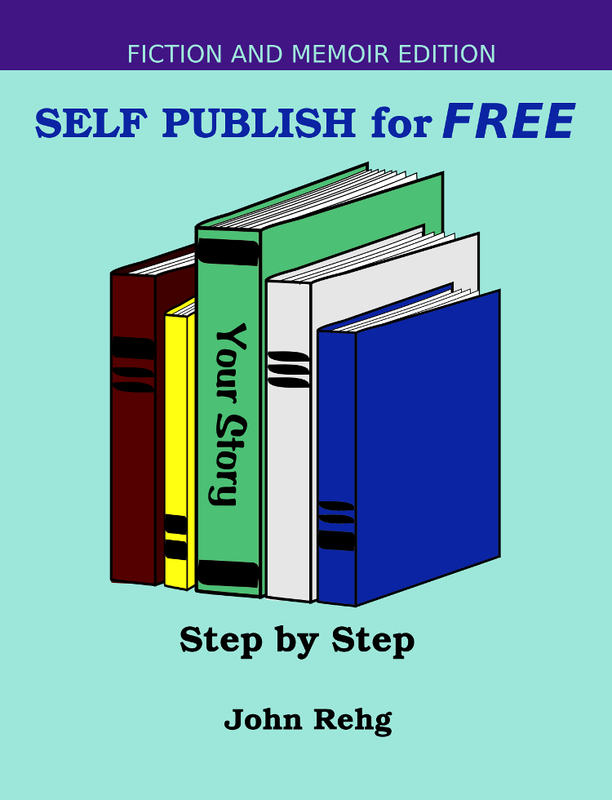 Self Publish for FREE walks you through both Scribus and GIMP, step by step, to produce the files necessary to build a book on CreateSpace. Short on hype and long on learning, this book has a singular focus: to help you get your files ready to upload. There are many websites that can help, many tools that others offer. But if you’re the true do-it-yourselfer who wants full control, then this is the book for you. John Rehg will be there signing Self Publish for FREE and others he’ll have for sale in time for Christmas, including ones for children, for zombie fans, for those who like humor, and for prayer and reflection. There’s something for everyone in the family! At this time of year we give thanks for all the authors who have trusted us with their work, for all the readers who have supported them, and for being able to share our knowledge with those we’ve come in contact with, one way or another.